"...Finally he sent his son to them, thinking 'they will respect my son.' When they saw the son, the tenants said to one another, 'here is the king who will inherit everything. Let us kill him and then we shall have his inheritance!' 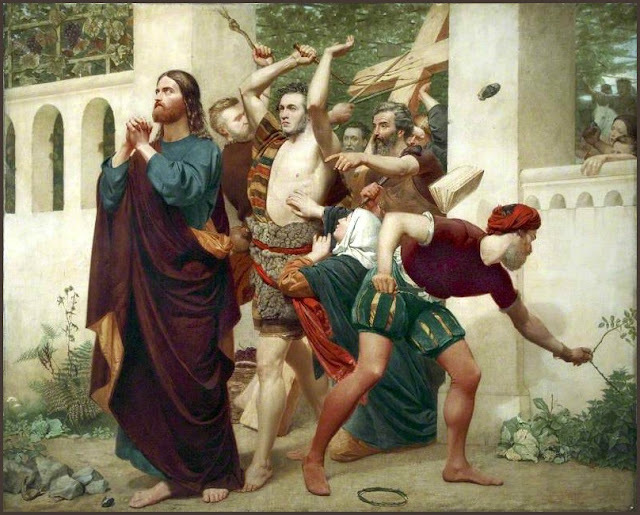 With that they seized him, dragged him outside the vineyard, and killed him."